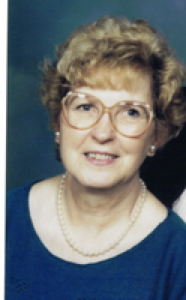 Mary Christine Anspach, 83, died at the Pavilion Nursing Home, 705 Fulton St., Sidney, Ohio on Friday, December 1, 2006 at 1:15 PM after failing health of several months. She was born June 12, 1923 in Somerset, Kentucky the daughter of Isaac and Lula (Dodson) Jones. She married Dale Anspach on November 25, 1970 and he died June 6, 1995. Surviving are three children, Ronald Rowell and wife Beverly of Sidney, Ohio; Donald Rowell and wife Avanelle of Piqua, Ohio; Deborah Curl of Sidney, Ohio and one step-son, Dale Anspach Jr. and wife Rebecca of Dallas, Texas; nine grandchildren and ten great-grandchildren and one sister, Martha Merchant of Three Rivers, Michigan. Two sisters, Inda Litton and Wilma Munson are deceased. Mrs. Anspach worked the the Shelby County Board of Elections, was a member of the Altrusa Club, First United Methodist Church, Sidney. She had worked for a telephone company as a telephone operator and her husband Dale and her owned and operated C and D Market on North Main Avenue in Sidney for ten years. Funeral services will be held on Wednesday, December 6, 2006 at 11:00 AM at Salm-McGill and Tangeman Funeral Home with Mr. Terry Mintchell officiating. Burial will follow at Graceland Cemetery, Sidney. Friends may call at the funeral home on Tuesday, December 5, 2006 from 4-8 PM and one hour prior to the funeral service on Wednesday. Memorial contributions may be made to the American Heart Association, PO Box 163549, Columbus, OH 43216-3549.